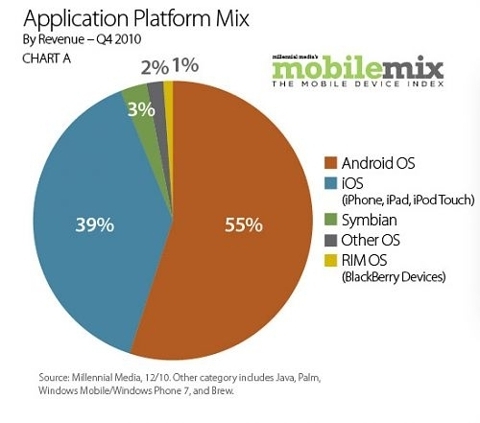 I have few minutes more to spare so I searched for some confirmation directly from the figures source of this article which took me directly to a Millennial Media blog with the title “Millennial Media releases December 2010 Mobile Mix report” where Android OS was declared #1 market shared within the “Smart Phone OS Mix” by impressions (need to understand what impressions means). Hey as I had just figure out on my previous article that Samsung would rapidly become one of the big players pushing Android OS based smart-phones. Well, that is starting to show up, at least based on impressions!!!. At this point I have no more time to continue with digging down the data and figure out what is this report based on. Later I will take a look to the more detail report that can be downloaded here. Anyways, I guess if you had your bets just like I did in early 2010 for getting into learning Android OS and how to create Apps for this platform it seems like we are taking the right path for now! Update: I finally got what “Impressions” means so that tells that some of the figures presented by “mobileMix” report are totally base on web pages views and perhaps not on regular surveys or non online data collection mechanisms. It is good to know. 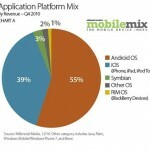 This entry was posted on Wednesday, January 19th, 2011 at 7:30 am	and is filed under Android. You can follow any responses to this entry through the RSS 2.0 feed. Responses are currently closed, but you can trackback from your own site.